I went to the cemetery today to see the monument. I could not be happier. Thank you for all your help! I appreciate very much the way you treated me. I will be happy to recommend you to my friends and I wish you good health and continued success. Thank you so much for the lovely stone for Thomas. I was so pleased you had it there before Christmas, that was wonderful. You really did a great job. Thomas is proud! I sincerely Thank you. Thank you for being so kind and understanding, if only there would be more people like you, it would be a better world. Stay well and God love you. I want to thank you for all your help and support in getting Joe’s monument. It is so very beautiful, meaningful and everything we hoped it would be. I have had so many compliments on it from his family. I doubt that any other company would have been as patient as you and would have allowed us to almost design the stone we wanted. Your help and support will never be forgotten. 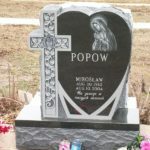 Thank you and the staff at Kulinski Memorials for the great job everybody did on my Mom’s stone. It looks very nice. I really appreciate your professional help when we we’re choosing the type and design of the stone. 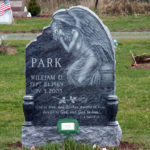 I want to express my gratitude for your helpful and timely professional manner in which you handled getting the custom headstone we requested for our beloved mother. We were very satisfied. Your care and thoughtfulness to our tragedy is greatly appreciated. My family and I are all in agreement to the beauty that you have achieved on the stone. It is a work of art. We want to thank you again! 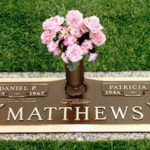 I want you to know how much I appreciated your taking care of adding my Mom’s information to her Monument. Your thoughtfulness means a lot to me and your kindness will never be forgotten. God Bless. 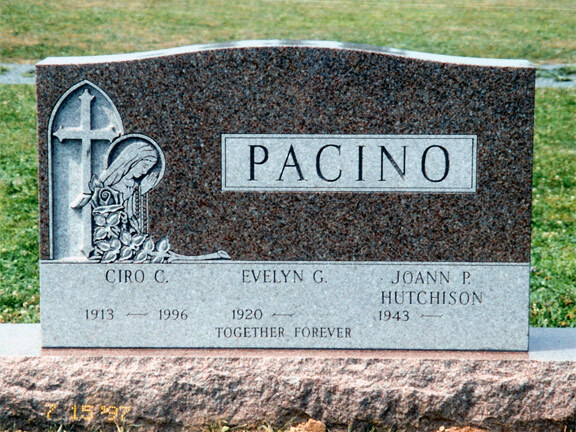 I want to thank you for having the headstone put in place for Joan’s birthday. 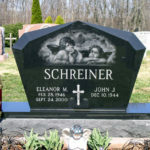 My children and I went to the cemetery on her birthday. I’m sure that Joan was very proud and happy. Thanks Again! I appreciate your kindness, thoughtfulness and generosity. Thank you from the bottom of my heart for the wonderful memorial. We just wanted to let you know that we truly appreciate all of your kindness with the passing of both of our parents. You’ve been wonderful and it has deeply touched our hearts.